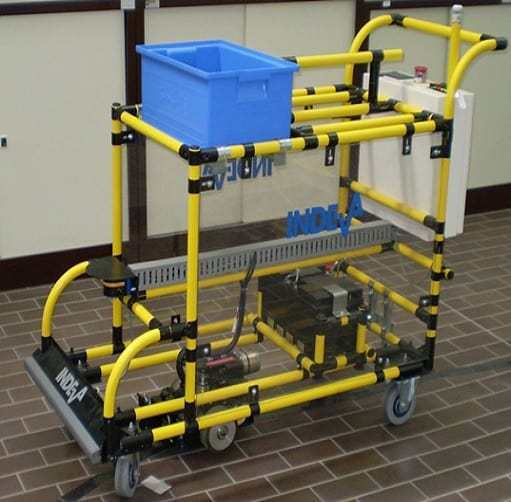 A custom built INDEVA® AGV is designed specifically to meet special site and operational requirements regarding structure, layout, size and program. A custom built INDEVA® AGV is designed to your exact specifications using either modular pipes and joints from our INDEVA Lean System range of components or a steel base structure. 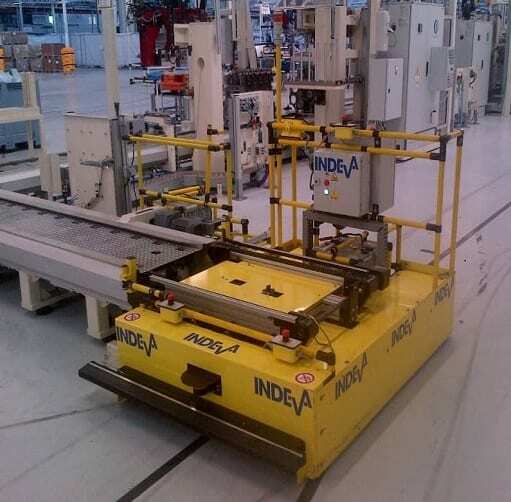 The INDEVA® AGV shown above is complete with power driven rollers for uploading large containers from the conveyor line that carries material between the warehouse and assembly line. It can carry loads up to 1500 kg. An INDEVA® custom built gravity AGV is used to transport boxes and small containers in both directions between the warehouse and assembly line. Could be possible the loading/unloading of the boxes from/to the AGV is carried out with a completely automatic and simple mechanism using gravity to slide boxes from the AGV to the rack and vice-versa. 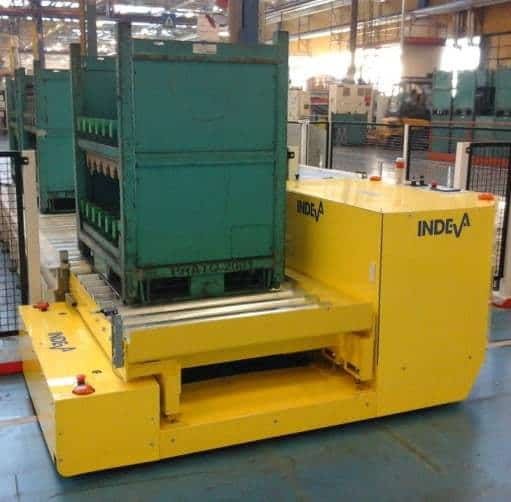 The above shown custom built INDEVA® AGV is equipped with custom made power driven conveyors, matched by similar conveyors at the load and offload positions. On arrival at correct location, the AGV establishes contact with the conveyor using Wi-Fi. This sets both powered conveyors rotating at the same speed, so providing a smooth, controlled transfer of product. Potential applications are the transfer of heavy loads and fragile materials.